I added a 4th book, Hunger, since it was on our rotation but got bumped so we could all be movie stars! Please go to the survey monkey link below and vote for 3 books. See you Thursday! If Binti hopes to survive the legacy of a war not of her making, she will need both the gifts of her people and the wisdom enshrined within the University, itself ― but first she has to make it there, alive. Written with a sparkling voice and breakneck pace, The Radium Girls fully illuminates the inspiring young women exposed to the “wonder” substance of radium, and their awe-inspiring strength in the face of almost impossible circumstances. Their courage and tenacity led to life-changing regulations, research into nuclear bombing, and ultimately saved hundreds of thousands of lives.. The Spirit Catches You and You Fall Down explores the clash between a small county hospital in California and a refugee family from Laos over the care of Lia Lee, a Hmong child diagnosed with severe epilepsy. Lia’s parents and her doctors both wanted what was best for Lia, but the lack of understanding between them led to tragedy. Winner of the National Book Critics Circle Award for Nonfiction, the Los Angeles Times Book Prize for Current Interest, and the Salon Book Award, Anne Fadiman’s compassionate account of this cultural impasse is literary journalism at its finest. The current edition, published for the book’s fifteenth anniversary, includes a new afterword by the author that provides updates on the major characters along with reflections on how they have changed Fadiman’s life and attitudes. Acclaimed writer Barbara Holland, whom the Philadelphia Inquirer has called “a national treasure,” finally tells her own story with this atmospheric account of a postwar American childhood. When All the World Was Young is Holland’s account of growing up in Washington, D.C., during the 1940s and ’50s, and is a deliciously subversive, sensitive journey into her past. Mixing tales of an autocratic stepfather, a brilliant, reclusive mother, and a houseful of siblings with jump-rope rhymes and dangerous sled runs, teachers both wise and weird, and a child’s-eye view of war, Holland gives readers a unique and sharp-eyed look at history and the world of childhood as it used to be. Please send me 2 or 3 titles by November 22nd. Thanks! 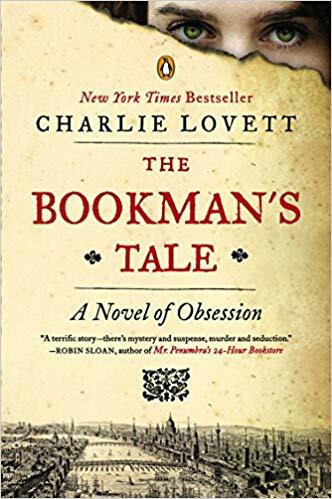 Guaranteed to capture the hearts of everyone who truly loves books, The Bookman’s Tale is a former bookseller’s sparkling novel and a delightful exploration of one of literature’s most tantalizing mysteries with echoes of Shadow of the Wind and A.S. Byatt’s Possession.